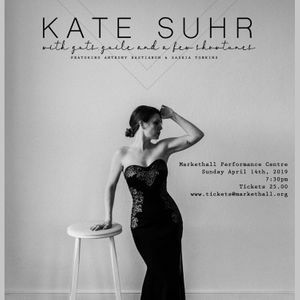 Peterborough’s own Kate Suhr debuts her first solo cabaret at Markethall Performance Centre on April 14th, 2019. In a night of story and song you will hear everything from musical theatre and pop to folk and a few original songs. It will be an eclectic evening of music, loose conversation, some wonderfully awkward jokes and very special guests. Featuring musical director Anthony Bastianon on piano and Saskia Tomkins on strings.